1 : 336000 Ellicott, Joseph Holland Land Co.
"Niagara, Erie, Chautauqua, Cattaraugus, Orleans, Genesee, Wyoming, Allegany, Monroe, and Livingston Counties"
Map of Morris's Purchase or West Geneseo In the State of New York. 1 : 336000 Ellicott, Joseph & B.
Map of the county of Erie / by David H. Burr ; engd. by Rawdon, Clark &amp; Co., Albany, &amp; Rawdon, Wright &amp; Co., New York. 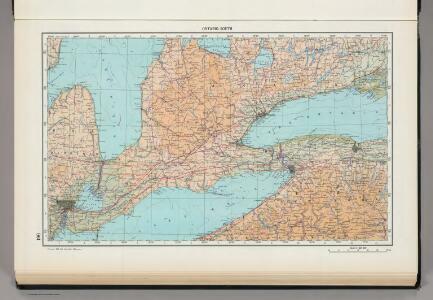 "Niagara, Orleans, Genesee, Monroe, and Wayne counties"
from Atlas of Niagara and Orleans counties, New York. From actual surveys and official records. Compiled & published by Beers, Upton & Co.
Map of the county of Monroe / by David H. Burr ; engd. by Rawdon, Clark & Co., Albany, & Rawdon, Wright & Co., N.Y.